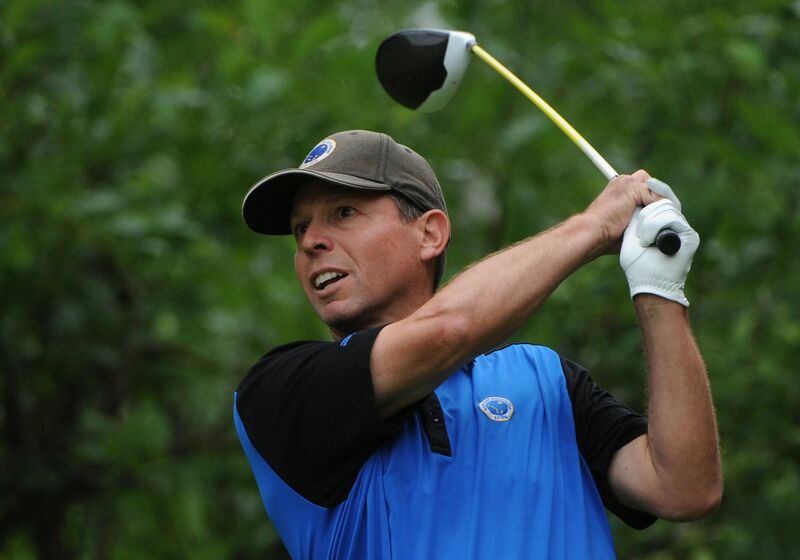 Greg Sanders wrapped up a splendid run at the Alaska state amateur golf tournament Sunday by firing his fourth straight par-breaking round at Anchorage Golf Course. His mastery was so complete he didn't three-putt until the very last hole of the tournament. Boosted by eagles in each of his first two rounds, Sanders finished 13 strokes under par and 14 strokes ahead of runner-up Jordan Miller, the winner of the last two state championships. One of his only missteps on his way to his sixth state title came on the par-4 18th hole Sunday. With a big, boisterous crowd watching, Sanders' five-foot putt for par lipped out, leaving Sanders with his sixth bogey in 72 holes. "I missed a par putt on the last hole, but who's to complain? I won by 14 strokes," said Sanders, 54. While Sanders eliminated the suspense practically from the start by shooting a five-under 67 on the first day, the women's competition provided plenty of final-day drama. Kelly Hollister claimed her first state amateur championship with a torrid back nine Sunday that allowed her to break loose from a tie with runner-up Toyoko Hawkins. Hollister, 59, entered the day with a five-stroke lead over Hawkins. Hollister struggled and Hawkins was steady over the first nine holes, and by the time they made the turn they were tied. Not that Hollister was aware of that fact. "When I made the turn, I didn't add my score and I didn't add any of my opponents' scores," she said. "I didn't want to know." Ignorance proved bliss. Hollister seized the lead on the 10th hole and never looked back, stretching her lead to as many as five strokes before finishing with a four-stroke victory over Hawkins. Hollister was five-over on the front nine but got some confidence — and a share of the lead — when she birdied the ninth hole after a triple bogey on the eighth. She gained strokes on each of the first three holes of the back nine, going par-par-birdie while Hawkins went bogey-bogey-par. "It could've gone either way," Hollister said. Hollister took the tournament lead on Saturday with a one-over-par 73, the best round in the 54-hole women's tournament. Sanders took charge of the men's tournament on the first day. He shot rounds of 67, 69, 70 and 69 for a 275 total. "It was weird playing with such a big lead," he said. "I wasn't sure how to do it." Sanders' play during the tournament was exceptional even by his standards. The last time he won the state amateur, he shot an 8-under-par 276 at Settlers Bay Golf Course. With their wins Sunday, Sanders and Hollister completed a sweep of this summer's state championships. Sanders, a retired petroleum engineer, and Hollister, who works at AGC in the pro shop, won match-play championships earlier this year. More than 100 players competed in the stroke-play tournament, which produced some excellent golf. Hollister, Tonette Jackson and Halcyon Swisher all scored eagles on the women's side, while the men's play include a hole-in-one by Nick Brawner on the par-3 No. 13 and an albatross by Max Escobedo on the par-5 No. 6. "It was a special, special four days," tournament director Jeff Barnhardt said by email. 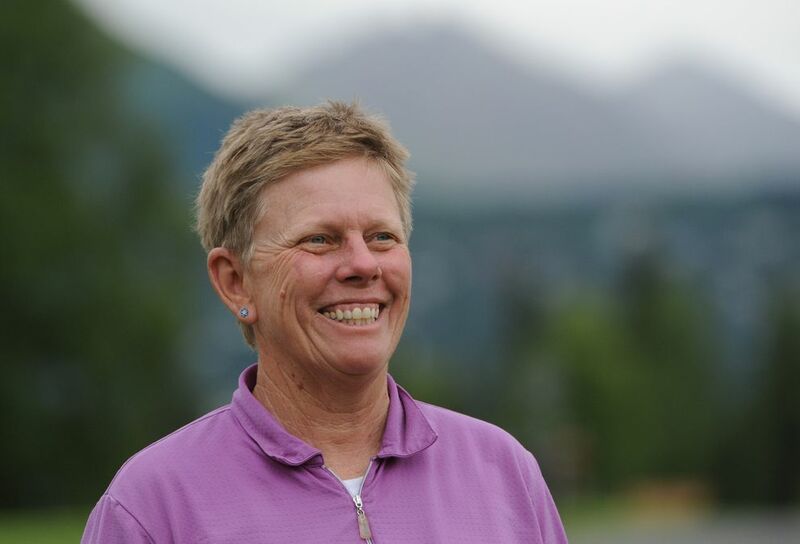 "Anchorage Golf Course was in the best condition I've ever seen it in, (and) that might have helped with a lot of scoring conditions."